In the early days of technology, humans molded themselves to technology and went where it resided. Now tech is coming to us in nearly everything we own and do. It’s learning how to mold to and around us individually and as part of communities and gather data at every turn. Is that a good thing? Yes. And No. We’ll look at the phenomenon of Smart Cities, how they are defined, why they’re arising and how they serve as a framework for understanding how our daily lives are (overtly and insidiously) being changed in ways we never imagined. As citizens and design thinkers what role do/should we play in how the latest smart cities technologies–sensors, cameras, platforms, aggregation and analytics algorithms, machine learning and artificial intelligence–transform how we live, work, play, learn, love, see, move, engage and understand our world–and how it understands us? I’ll tell you what I know and then let’s discuss! Ann Marcus is an accomplished strategist who has conducted research, content development and communications consulting–for organizations ranging from start-ups to enterprise–on the challenges and opportunities at intersection of people and technology. 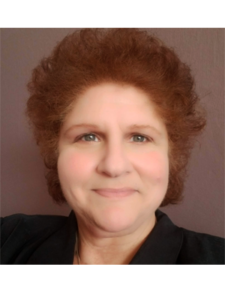 Ann was with Cisco Systems for the past 11 years, where she was initially recruited to help develop an interactive learning and collaboration site for the Cisco Certification community. She stayed on for 5 years providing information architecture, UX design, content development and community management services. In 2013, Ann joined the Cisco Smart+Connected Communities team–initially having developed a similar interactive site–but later moved into the role of executive communications lead and engagements manager for the organization’s senior VP. She left Cisco at the end of 2018 to explore new opportunities and undertake social/community development and projects in Portland, across the US and overseas. Ann sits on the leadership team for the National Institute of Standards and Technology (NIST) Global City Team Challenge (GCTC) Education Supercluster and participates in the Transportation Supercluster centered here in Portland. Ann does yoga and Zumba, has annoying cats, loves to travel, speaks Spanish and has been a member of CHIFOO for a really long time!